Another easy handmade ornament – this one from wire. 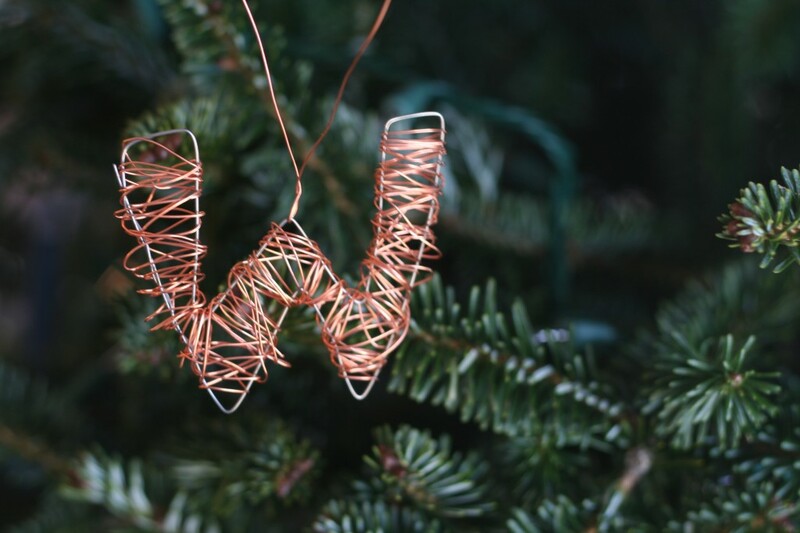 I used a heavier wire to make the outline of the W, then wrapped the letter in a thin-gauge copper wire. Another loop of wire makes an easy hook for the tree. This entry was posted in Etc, home dec. Bookmark the permalink.